Where can I hide this? Do you think finding good hiding spots is all about playing “hide and seek” or having a great Easter egg hunt? In organizing, good hiding spots mean effective space management. Maximizing your existing storage comes in many forms. Closet organizing, purging unneeded and unused items and choosing effective storage are important. But there is another great organizing solution clients often overlook – the “hiding” spot. Good hiding spots are under the bed, behind a door or even behind a floor length curtain. These are ideal because they are not high traffic areas but are easily accessible. Also, there are storage solutions designed for these hidden spots. Under the bed storage bins and bags and hanging shoe holders are low cost but highly effective. So, what should I be “hiding”? Hey, what’s in that hiding spot? Hiding spots are ideal for items that we don’t want or need out in the open. Under bed storage is perfect for out of season clothing or bedding – close at hand when needed but not taking up valuable closet and drawer space. Do you have young children with lots of legos or dolls? Use that under-bed space for plastic bins for small toy and doll storage. Bins on wheels are easy for them to pull out and use and equally easy to clean up and store out of sight. I also recommend creating an “electronics” bin for manuals, boxes, and warranties. These are often needed for repairs and upgrades but don’t need to be in your everyday files. Fill a plastic box with all the electronics paraphernalia and slide it under the bed – organized, easy to access and out of sight. Install a clear plastic shoe hanger on the back of your door and fill it up! Behind full-length curtains in my office, I store a paper recycling bin and my shredder – you are really limited only by your imagination. Shoes are an obvious choice for a hanging shoe holder but there is a multitude of options. Fill the clear shoe pockets with small toys, hair accessories and products, health and beauty items, dog care items, scarves – the possibilities are endless…. No two snowflakes are alike…. As no two snowflakes are alike, no two organized homes are the same. When working with clients, I’m often asked to replicate a system or solution modeled in someone else’s home or in a magazine or often, Pinterest. 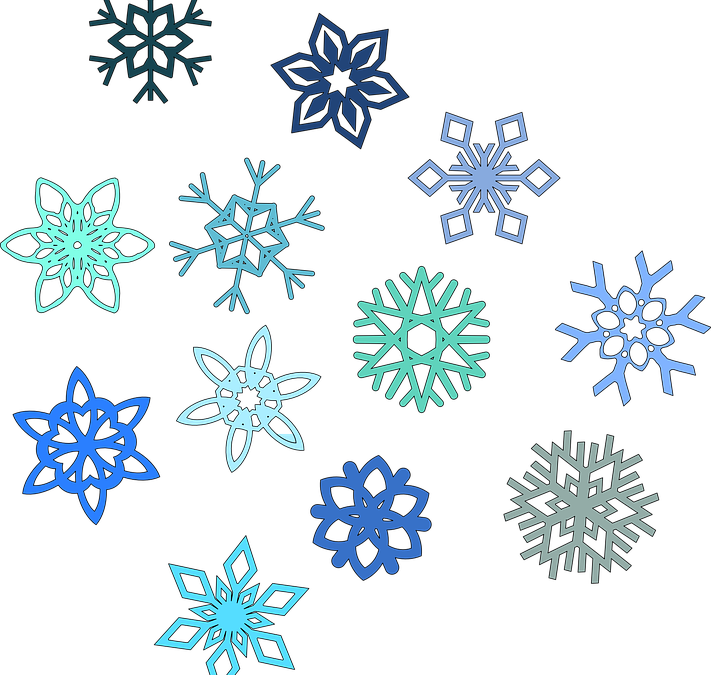 But like all unique snowflakes, every organizing challenge and therefore its solution needs to be unique. For “generic” organizing challenges, create a simple, easy-to-follow system. Lots of large toys to organize for your toddler? Consider low shelving with easy access and picture labels for pre-readers. Lots of Barbies or Legos and Matchbox cars? Bins, bins, and more bins to the rescue to containerize. Lots of little ones to get out to school in the morning? Create transitional space with low hooks to hang coats and backpacks to make mornings more manageable. 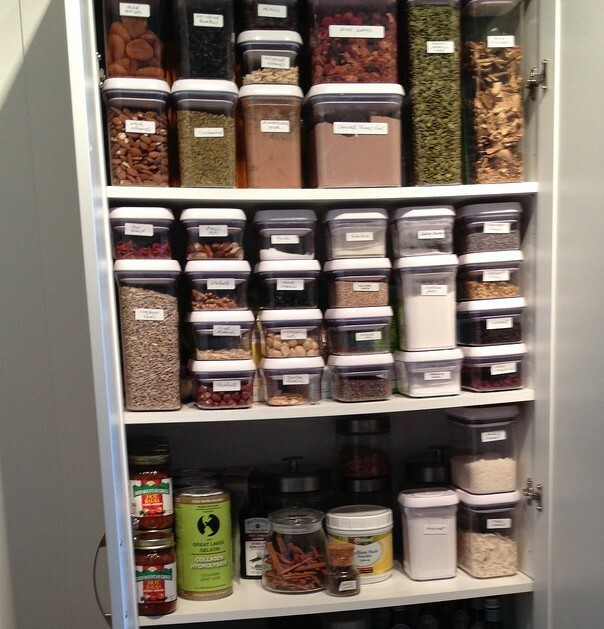 To determine your best organizing solution, ask the question – what’s my greatest pain point? Your pain point is that challenge that’s most impeding your ability to get organized. From many years of working with clients, I’ve learned that it’s often not the obvious answer. Do you struggle to get yourself and your family out the door in the morning without a major meltdown? Break down a typical morning into time blocks to narrow down where the greatest challenges arise. Is it when everyone enters the kitchen? Do you have a designated breakfast space and routine? If not, plan one to eliminate that chaos. Does the bottleneck occur before everyone gets to a common space? Wardrobe or closet disorganization is a likely culprit. Can you “grab and go” to get out the door? Are backpacks, athletic bags and workbags in a designated spot and at the ready? Create dedicated transitional space to get everyone out the door quickly. Quick, name the one space in your home that is REALLY disorganized and in need of some serious decluttering. 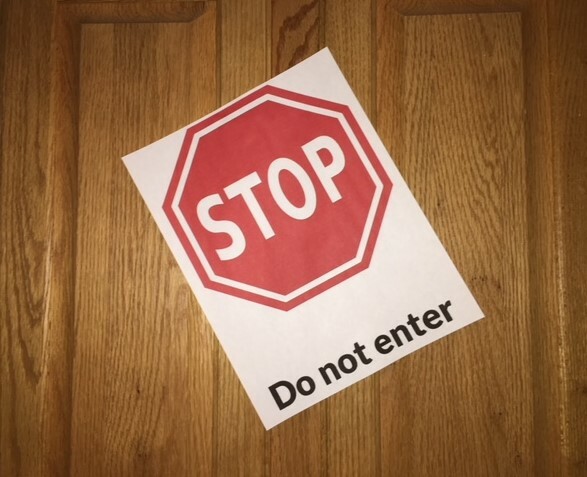 Many clients say basement, playroom or closets and yes, these are often trouble spots in the home. But one of the most important spaces that often gets overlooked is the bathroom medicine cabinet. For many of us, it’s a space we use multiple times a day but we rarely give it a thought unless we need something specific. On a daily basis, we rummage around for the item we need and then shove it back in and close the door. In theory, we know that there’s a lot of “stuff” lurking in there but we don’t take the time to sort it out. While a medicine cabinet may seem like a low organizing priority, it really needs to be prioritized both for ease of use and most importantly, for safety. How the heck old IS this, anyway? The first thing to address in a medicine cabinet are expiration dates. Dates are there for a reason so always err on the side of caution. Pharmaceuticals should NOT be stored in a bathroom medicine cabinet – heat and moisture break down the components faster. All narcotics should be kept in a locked space – not in the easy access of a medicine cabinet. Throw out any OTC medications that are expired and take any narcotics to your local police department for proper destruction – DO NOT flush these down the toilet. These chemicals seep into the ground and drinking water and cause real harm. Once you’ve eliminated the unneeded, unused and expired medications, determine what else should be put back in. Containerize like items in Ziploc bags or small acrylic containers. First aid items like bandages and ointments fit perfectly in a small bag. Group items together – shaving, hair products, dental items – inside the cabinet for easy access. Do you have duplicates of the same item? Store the unopened item in another spot to leave the “prime real estate” of the medicine cabinet free. Purge, containerize and give your items a home – your everyday routine will thank you…. This “thing” is not working – now what? 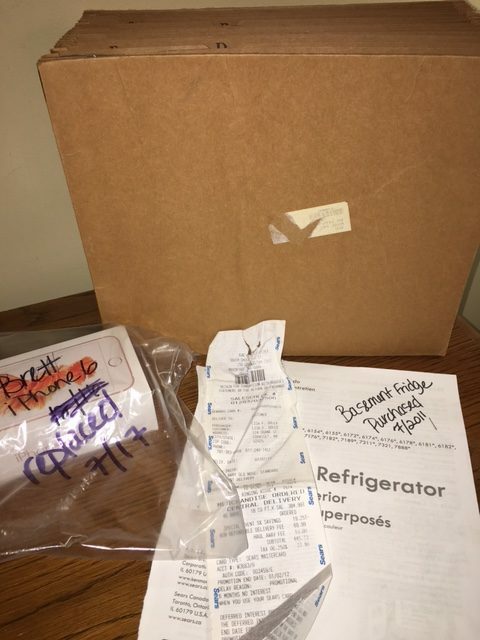 Can you put your hands on the manual and receipt for your non-working refrigerator in less than 5 minutes? Found the manual? Great. Is it still under warranty and when and where did I purchase this anyway? Product manuals and invoices/receipts for all our many items can be overwhelming. I recommend using an alpha file for organizing most purchase information. When you buy a new item (appliance, furniture, pricey clothing item), place the manual with the attached receipt in the alpha file. As an added step, write on the front of the manual the purchase place and date for easy reference. Most manuals and product information can be downloaded as a PDF online if you prefer. But I do recommend holding onto the original receipt. Yes, lots of folks like to keep these receipts in email format but a hard copy is always easier to retrieve in a hurry. So, should all product manuals and invoices go in an alpha file? If you counted all of the major product purchases you’ve made over the past year, would technology items be a majority? For most of us, our homes are filled with smart phones, tablets, laptops and desktops, Kindles and readers – each with its own manual and receipt. Unlike an appliance or piece of furniture for which we rarely need the manual or purchase information, repair and upgrade to electronics is constant. To manage this process, keep those receipts and manuals separate. 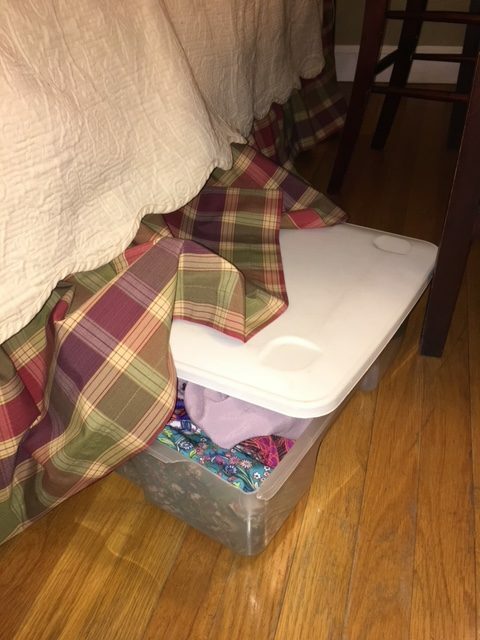 Use a clear box with a lid and put this in an out of the way but easy to find space – think under the bed. No one wants to be frantically searching for purchase docs and receipts when their phone is dead or computer crashes. When you purchase a replacement item – like a new washing machine – be sure to discard the old manual. In your electronics box, mark product boxes and receipts with simple notes – “Lisa’s iPhone6 purchased Sept 2017”. When you need to have an item repaired, you don’t need to be searching through a pile of manuals and receipts for the right one. Everyone has that space in their home or office that is an organizing challenge, including organizers! Does your mudroom/transitional space get messy and cluttered quickly and repeatedly? It’s often a struggle to keep basements organized. That large open space often becomes a dumping ground for items we don’t quite know what to do with. Is the play room with all the kids’ games and activities filled with overflowing bins? Despite storage, are items still covering the floor? Most people can point out quickly what space is not working for them. But conversely, most everyone has a space that does work well. The pantry is uncluttered, food items are containerized and the space works for everyone in the family. Your closet and wardrobe are easy to negotiate and you can find a great outfit quickly and easily. The office has an organized filing system that makes it simple to find your documents when you need them. So, what works for you? How do we create more space that works for you? I ask clients about the space that works because it will give us good ideas on how to create more of it. 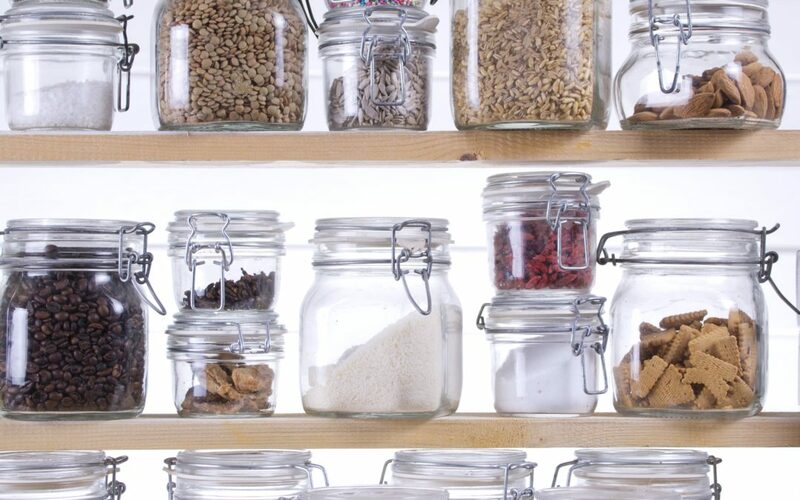 If the pantry is a good working space because of its containers and layout, can we replicate that in the playroom? We set up a good working closet and wardrobe by purging the unneeded clothes and accessories. Making the remaining items easy to see and choose from simplifies getting dressed. Can we use this same method in the basement? Purge the unneeded and unused items and find an appropriate home for what needs to stay. Great work setting up an office that makes you more efficient and minimizes stress. What similar systems can you create in the mudroom to deal with the volume and variety of items that fill that space regularly? Everyone has a space that challenges them but at the same time, everyone has a space or system that works well. Look at the processes and systems that are working well and by replicating them in your challenging space, you’ll be able to create more space that works. For most of us, getting organized is a challenge. As a first step, we go out and try to purchase the “right storage” – the pretty box or plastic bin. But the reality is that getting organized isn’t about the box or the bin; it’s about having the “right stuff” in our spaces. The first step in the organizing process is about getting rid of the excess – the damaged, the unused, the unneeded. Do you have the right amount? Great – now decide where the item should be stored. Games in the toy room or family room? Books in the nursery or playroom? Extra linens in the bedroom or hallway? Once your item has a home, then decide on the right storage. Buying a box and bin is an easy “fix” that distracts us from the more challenging work which is the actual organizing. When choosing a storage solution, think about trying to find that item when you are looking for it. Choose a clear storage option whenever possible unless you really are trying to “hide” items from view. Opaque is not your friend!! Do not buy a fancy, high end container system or fancy boxes or bins if those are not really what work best for your item or space. Choose clear plastic shoe boxes which are ideal for so many items – small toys, art supplies, legos, cosmetics, office supplies. Searching for the best container for crayons? Remove them from that paper carton and put them in a clear Ziploc. No more trying to cram them back into the original slots and ending up with broken magenta shards. Keep it simple and clear.